Former MotoGP regular to replace Ducati test rider Pirro. Aruba.it Racing – Ducati WorldSBK newcomer Alvaro Bautista will be back on board a MotoGP bike at Jerez this week as he takes part in the two-day test for Ducati Team. Bautista, who just completed his final MotoGP campaign with Angel Nieto Team this year, made his WorldSBK debut this week aboard Ducati’s all-new Panigale V4 R superbike, which saw him wind up with the fourth fastest time after two days of testing at Jerez. Ducati has decided the former MotoGP regular will replace usual test rider Michele Pirro after the Italian underwent surgery to correct an acromioclavicular dislocation suffered in his heavy crash at the Italian grand prix. 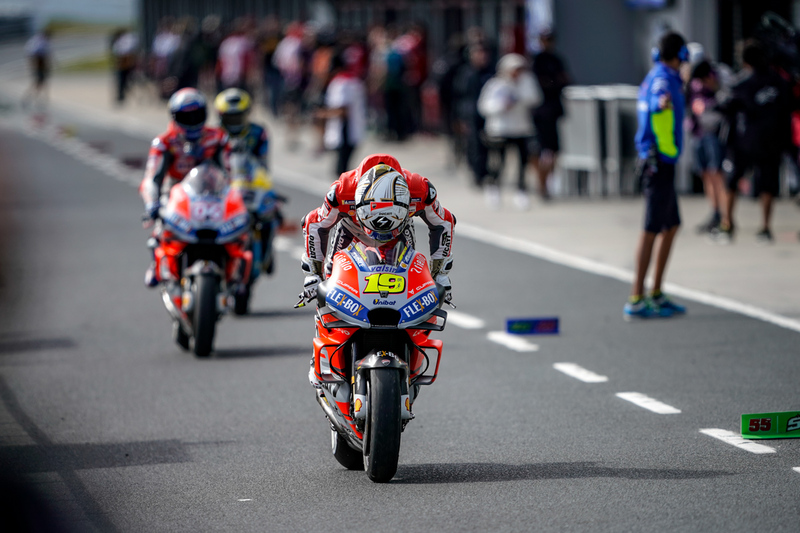 The Spaniard impressed last month when he filled in for an injured Jorge Lorenzo at the Australian Motorcycle Grand Prix, piloting the factory Ducati Desmosedici GP18 to fourth position.